Etsy and eBay differ from each other in terms of costs and target demographic. If you have items that you'd like to sell online, you may already know about Etsy and eBay. These sites are similar in what they can do for online entrepreneurs, but they have different requirements and offer different benefits to sellers. One of the biggest differences between the two sites is what is allowed for sale. On eBay, as long as it's not illegal, it's generally allowed to be placed up for sale. This includes mass marketed items, handmade items, vintage items, antiques and found objects. 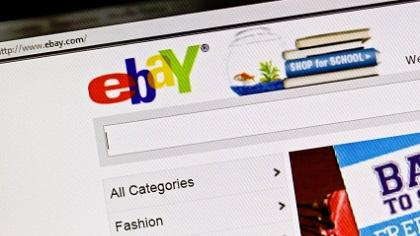 Sellers who sell a diverse array of items generally prefer eBay because of the liberal listing rules and the ability to sell just about anything all on the same site. On Etsy, only handmade items are allowed to be placed for sale. This gives the site a boutique feel and keeps the site's items unique. Sellers who prefer to make their own items prefer Etsy because of its built-in audience of buyers who prefer to buy unique items. With an eBay store, a fixed-price listing on eBay costs .20 for a 30-day listing. On Etsy, listing an item costs .20 for a four-month listing. The transaction fees, called final value fees on eBay, are 3.5 percent of the sales price on Etsy. On eBay, they vary with the category. The fees range from eight to 15 percent of the purhcase price, with most categories charging 12 percent. For sellers, Etsy represents a far less expensive selling experience than selling on eBay. However, the cost of selling is not the only consideration to sellers. Though Etsy is less expensive for sellers, the high level of traffic to eBay generally makes up for that difference. The Etsy customer base visits the site to get handmade and often custom items, making the customer base more targeted. However, with millions of people visiting eBay every day, the sheer volume of customers often means faster sales. Whether a seller prefers Etsy or eBay often depends on the price of the item they want to sell, how specialized it is and how quickly they want to make sales. A high-priced item that sells on eBay will be expensive to sell because of the high final value fees. However, if you don't mind keeping the item listed for a longer period of time, selling it on Etsy and paying less for the transaction may be what you prefer. Some sellers choose to sell on Etsy because as a smaller site it has a more community feel to it. They see Etsy as a more personal place to do business. Others prefer eBay because it is the industry leader and has better name recognition. With useful benefits available from both sites, including a ready-made audience and an easy way to list items online, each is a worthwhile selling platform. The one that you choose may ultimately come down to a simple matter of personal preference and which selling experience you enjoy the most.